First of all, I have been a complete and total blogging slacker. Between the holidays and starting a new job, blogging has taken a back seat recently. 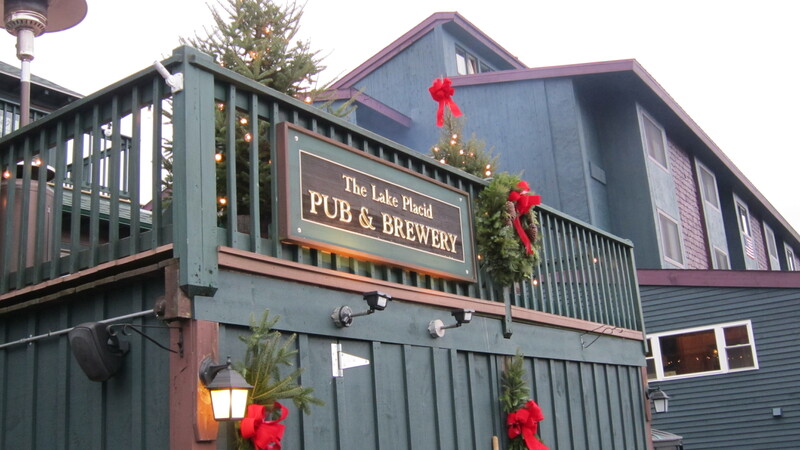 Over the holidays, I had the opportunity to go to Lake Placid and what a wonderful trip is was. 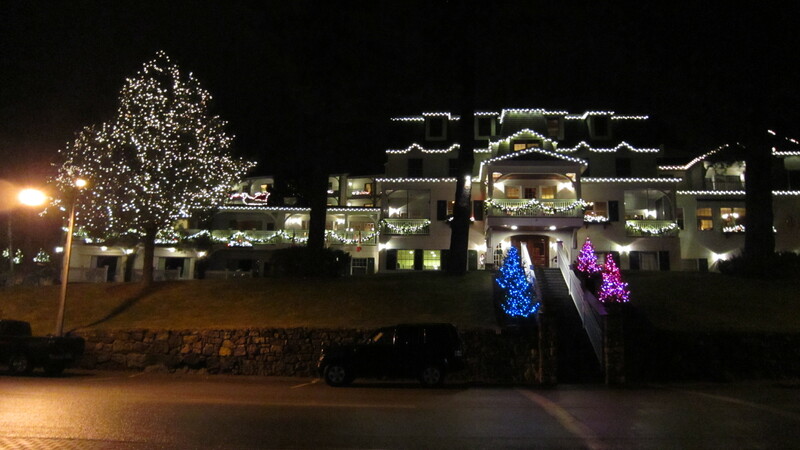 Being at the Mirror Lake Inn during the holidays is like something out of a greeting card. The Christmas decorations both inside and out are amazing.Everywhere you look, something beautiful and festive just pops up. 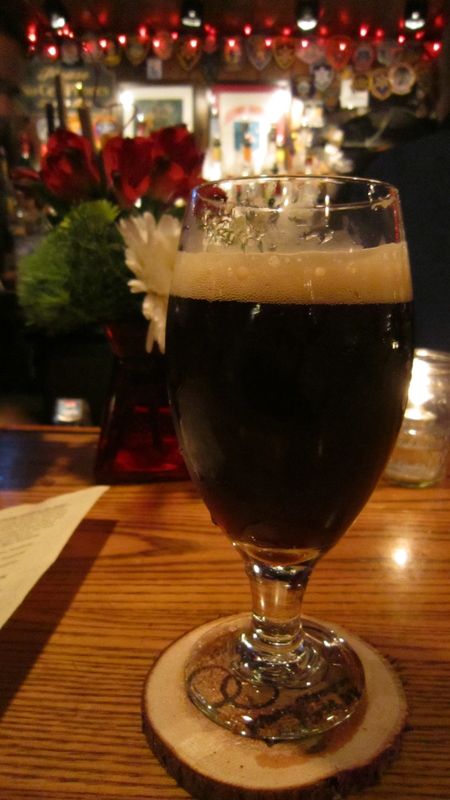 I’ve been looking forward to this weekend for a couple of months for many reasons, but the two things I really had my eye on were the Abby Ale from the Adirondack Steak and Seafood Company and the house-made granola from Mirror Lake Inn. More on those wonderful treats in a bit. We arrived to freshly baked chocolate chip cookies upon checking in which is always the best way to be welcomed in my opinion. Although they weren’t the best chocolate chippers I have had, I managed to have a couple just to be sure ☺. We arrived around lunchtime and knew that having a little nosh at The Cottage is the only way to go for lunch. It’s a great spot that’s part of MLI and sits right on the lake. We were able to get a cozy table right next to the window where we enjoyed the spectacular views and a Harpoon Winter Warmer. We decided to get the cheese board which came with a loaf of fresh bread, wheat crackers, grapes, apples, Boursin cheese, strawberry chardonnay cheese and maple cheddar. Boursin is a favorite or ours so we knew that wouldn’t go to waste but the maple cheddar was something new to us. I’ve had a lot of cheese and many varieties but my first instinct wouldn’t be to reach for a maple cheddar. Well I’ve been converted my friends. This combo was excellent!!! I can’t wait for my next get together so that I have an excuse to get it. The maple added just a hint of sweetness but it wasn’t overpowering at all. It was a great way to have a different variation on cheddar. It was time to check out the holiday stroll going on in the village so we walked around and got to eat free Christmas cookies and gumbo samples. This place is truly heaven on earth! 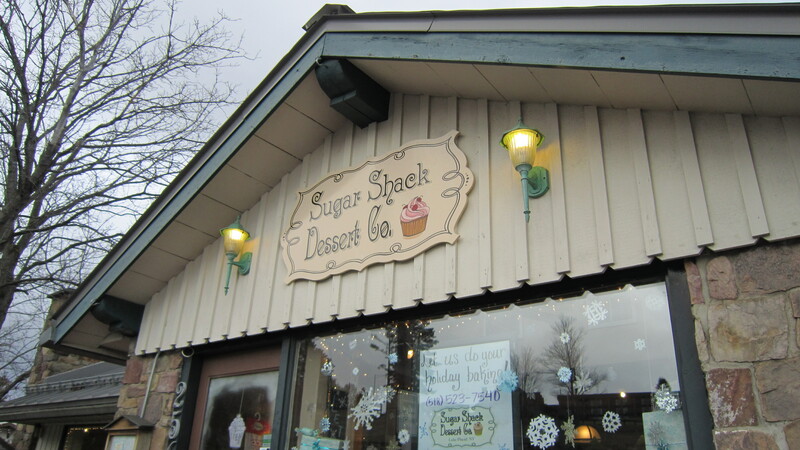 As we reached the end of the strip, there was a cute little bakery called the Sugar Shack Dessert Co. I had to pop my head in to see what they had and the cupcakes looked really good. 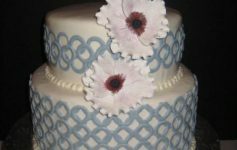 In the dessert hierarchy, cake and cupcakes don’t usually come in at the top of my list but these looked delectable, so I went with the Sno-Cap cupcake which was chocolate cake with chocolate frosting topped with nonpareils. 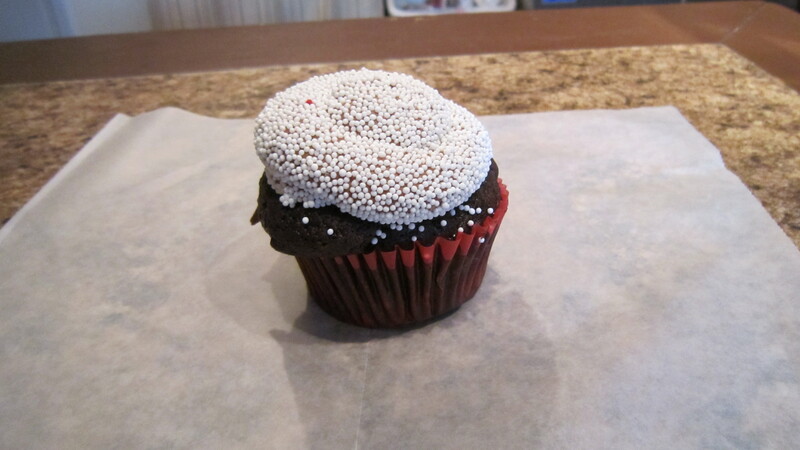 I don’t want to say that this cupcake was topped with frosting because it was reminiscent of chocolate mousse. Needless to say, it was excellent and I could have eaten the frosting by the gallon. The light airiness of the chocolate mousse frosting combined with the crunchiness of the nonpareils was so good. The only thing I regret is getting a mini, but seeing as though our next stop was the Lake Placid Brewery, it was probably a good idea. Now that I’ve had my sugar fix, it was time for my beer fix so LPB here we come! 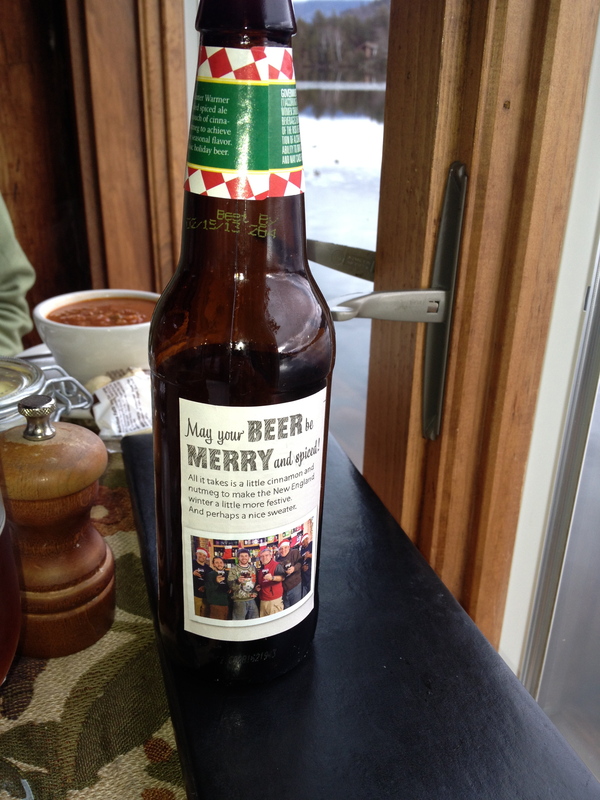 The cozy ambiance of Christmas lights inside and out made it the perfect backdrop for my Moose Island Ale. 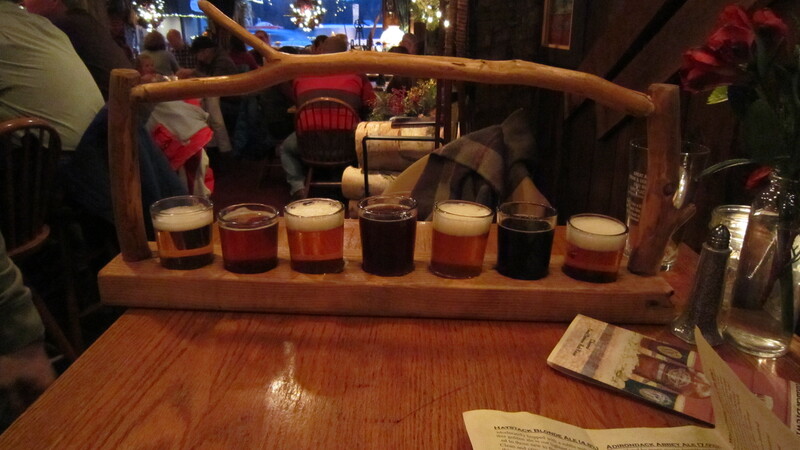 Now I definitely enjoy the beers at LPB but one of THE BEST beers I have ever had can be found at the Great Adirondack Steak & Seafood which also has a brewery (Great Adirondack Brewing Co.) located on the main strip in Lake Placid. All of their beers are excellent but the Abby Ale is unbelievable!!! I practically have dreams about this beer it is SO good. 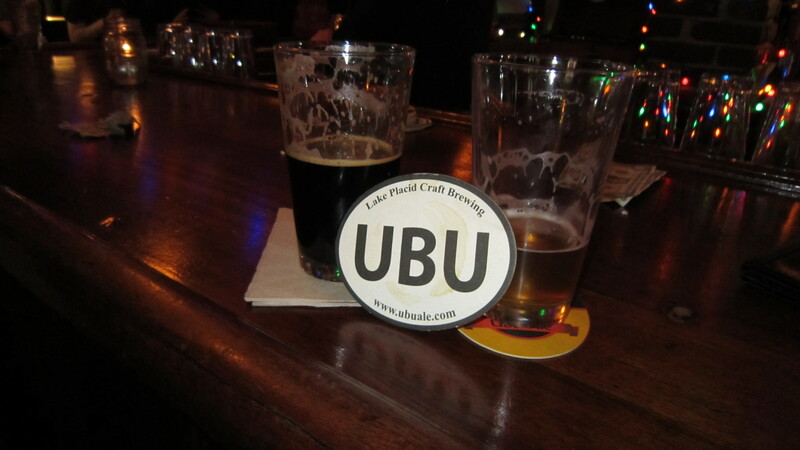 It’s worth stopping in for a sampler so that you can try all the beers they have on tap but I say just skip to the good stuff and get a pint of the Abby. Now that we’ve had a few beers to keep up warm, it was time for dinner. I’ve always been a fan of Milano’s in Latham, so we thought we would check out Milano’s North right here in Lake Placid. We got a great spot in the window (again) overlooking the main strip so we could watch holiday shoppers and strollers wonder about. I’ve been completely obsessed with figs lately so we started with the Fico pizza which had Adriatic figs, roasted shallots, prosciutto, gorgonzola and fontina with a balsamic glaze. 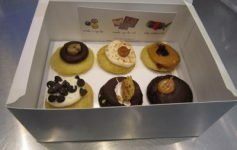 (the Latham locations’ version comes with fig jam, not Adriatic figs). It was so good I almost ordered it again as my meal. 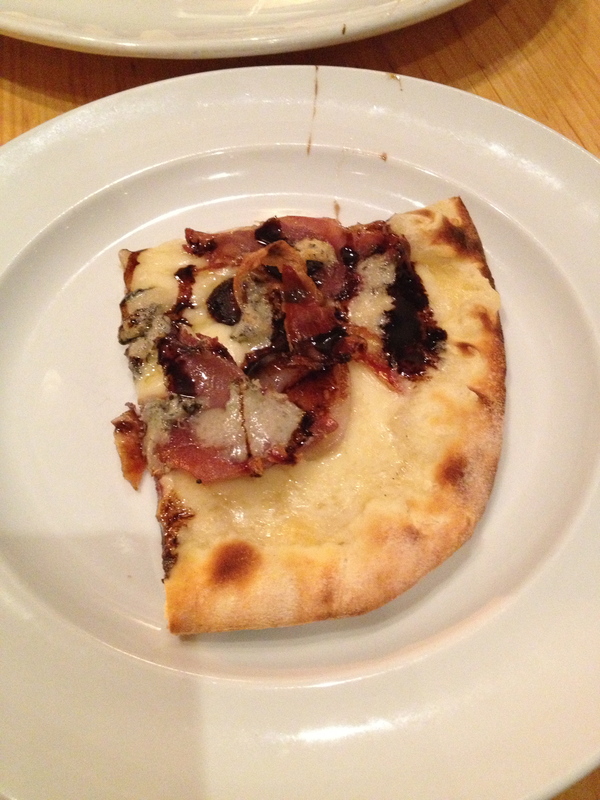 I loved the sweetness of the figs and balsamic glaze against the saltiness of the prosciutto and cheeses. I would almost drive back up to Lake Placid just to have this pizza and an Abby Ale. Unfortunately, that was the best part of the meal. 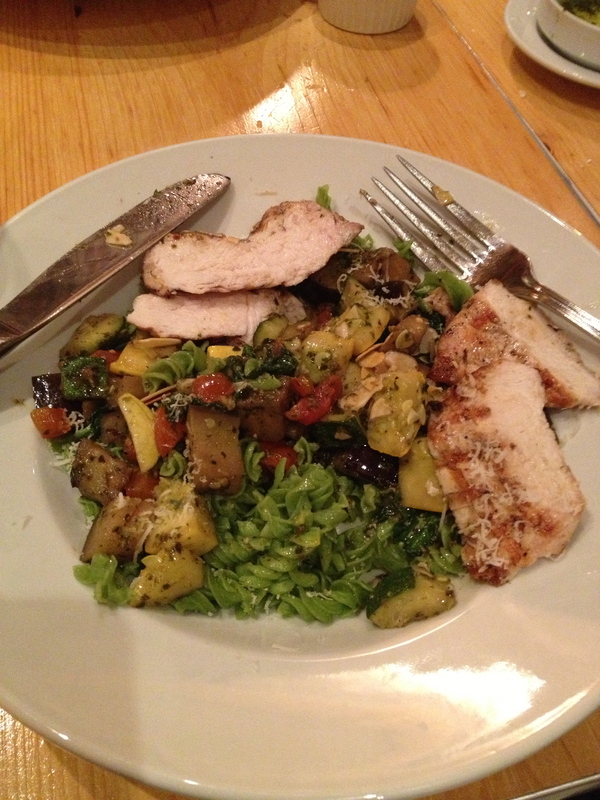 For dinner I got a pasta dish which had chicken, roasted squash, eggplant, red peppers, tomatoes, spinach, toasted almonds and extra virgin olive oil. Sounds good right!?!?! Not so much. There was practically a puddle of water on the bottom of my plate and everything was soggy and flavorless. Such a huge disappointment after such a great start. My husband’s pasta dish was not much better so we decided that it’s probably best to stick to the pizza. 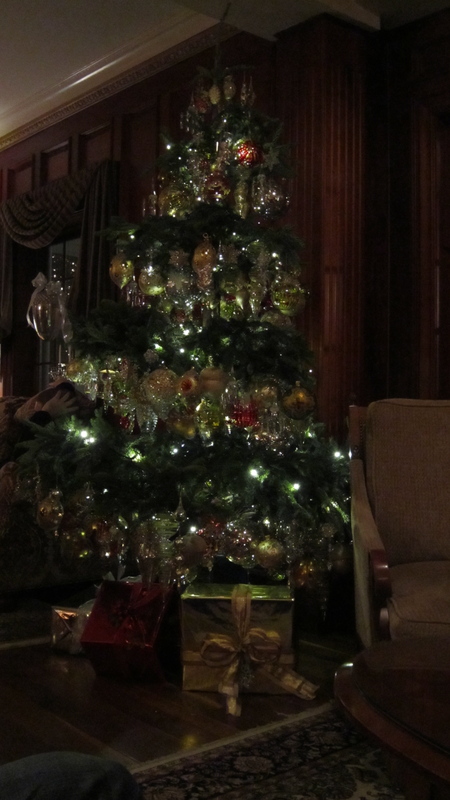 After a fun night playing games at the Inn next to some of the most amazingly decorated Christmas tress, we headed to bed as visions of sugar plums and Mirror Lake Inn granola danced in our heads. The breakfast buffet at the hotel has a decent selection of your typical morning fare but there is one item that is head and shoulders above the rest, and it’s the house made granola. It has huge chunks of oats, brown sugar, cashews, cinnamon and some other heavenly type ingredients along with a TON of butter. I’m going to try and convince myself that it’s healthy because it’s “granola,” but nothing that good could actually be good for you (at least in the quantity I eat it in:). Okay, I would add this granola to my list of items worth making the trip to Lake Placid for. I noticed that the granola is on the room service menu so you might be able to just pop in and pick some up. If not, it’s worth getting the breakfast buffet just for this-it is that good. All in all, it was a wonderfully festive and delicious weekend at the lake. My picks are obvious so enjoy some Abby Ale from Adirondack brewing, grab a Fico pizza from Milano’s and start your day off with the Mirror Lake Inn house-made granola. You won’t be disappointed! Previous Article It’s Christmas time in THE city! Let’s eat! 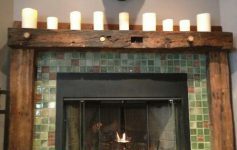 Next Article Cheese, wine and everything’s fine… in Troy!